A killer serving a life sentence for the murder of a teenager on a Swansea beach has lost his bid to have his minimum 22-year prison sentence cut. 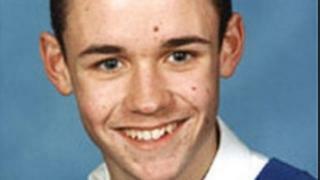 Joel Taylor, then aged 18, was one of three youths jailed for killing 17-year-old Ben Bellamy in September 2005. His solicitors argued his sentence should be reduced because he had made "exceptional progress" in prison. But a judge denied the appeal because Taylor still refused to acknowledge he intentionally killed Ben. Ben, from Sketty Park, was walking home after a night out in Cinderella's club in Mumbles when he started talking to Taylor, Joshua Thomas and Andrew Rafferty, and was invited to walk with them. He was later dragged on to the beach and was attacked, robbed, stripped naked and left to drown. Mr Justice Julian Knowles said he had received letters from Ben's family and friends asking him not to alter Taylor's sentence. Refusing to cut the minimum term, the High Court judge added: "In this case, whilst I accept that Taylor has in many ways made good progress in prison, for which he is to be commended, I am unable to find that he falls within the exceptional category so as to justify a reduction in his tariff at this stage."